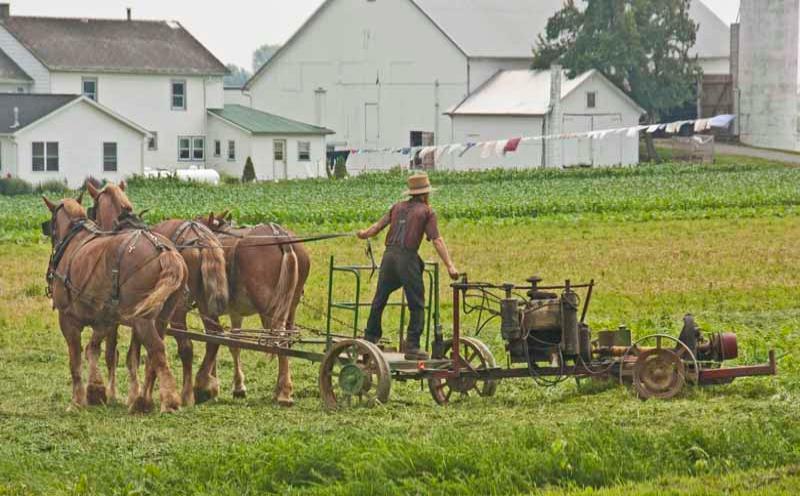 It is known that the Amish live simple lives according to old-fashioned traditions and, even with modern technology continually on the up, the Amish keep to their ways. Here are some facts you may not know about these people. When it comes to marriage, everyone must marry another member of the church. The soon-to-be-married couple will personally deliver their invitations, and the bride-to-be will make her own dress. There are no wedding rings and no fancy trip for their honeymoon as they visit relatives instead. There is meaning behind Amish men with beards, as those seen with facial hair signify to others that they’re married since they stop shaving after their wedding. 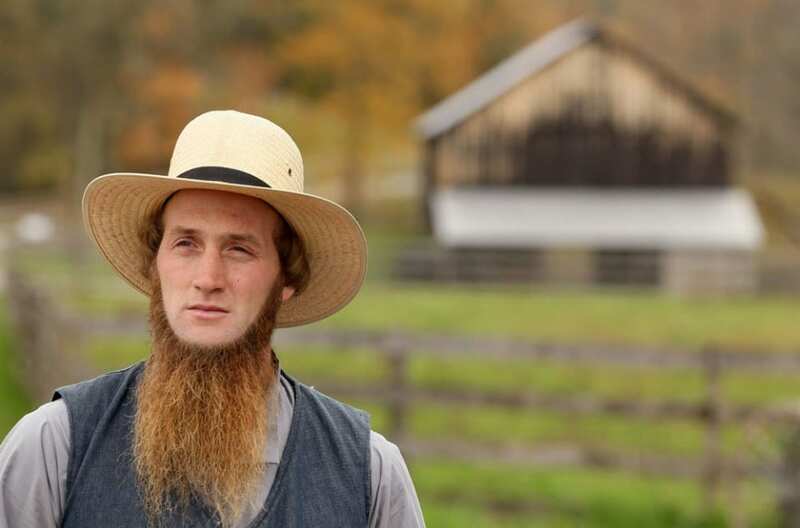 Men in Amish communities also do not have mustaches without beards, and trimming their beard is frowned upon in such communities. As for women, cutting their hair is not an activity they would participate in, so it is highly doubtful you will ever come across an Amish man or woman stepping into a barbershop. While the Amish live a different life to many secular people in America, they also speak differently. The Amish have their own language which is referred to as “Pennsylvania Dutch,” and is the language people in these communities speak. Their language came about from early German settlers who came to Pennsylvania and it was adopted by almost half of all the people in the state. These days, however, it is a way of communication most often used by the Amish. As is with many close-knit communities, there are certain rules and codes of conduct that must be followed should you wish to stay within the community. The Amish community certainly follows suit with this and, “meidung” or “shunning” occurs when the community decides they will no longer tolerate the actions or inappropriate behavior of a particular individual. While the sentence for “meidung” used to result in death, it now means banishment from the church or an appropriate punishment should someone sin. Somewhere you may have bumped into Amish people is at Walmart, and you would know based on their clothing alone. The Amish have a particular sense of style and prefer to wear clothes that are simple and functional, rather than fashionable or stylish. Their dress is designed to prevent vanity so there can be a focus on exterior qualities. Moreover, maintaining their modesty is very important, and that is why they often opt for darker colored clothing and avoid any bright colors or jewelry. 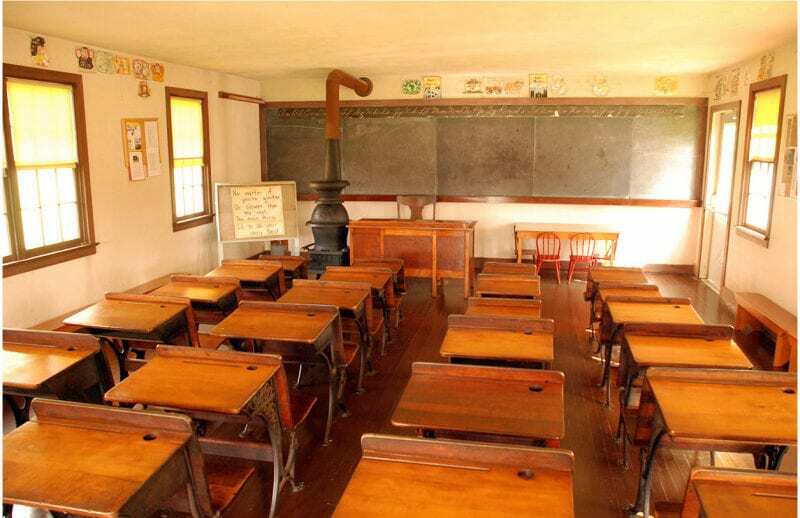 When it comes to education, Amish children learn in a style that is similar to the American schools in the late 19th and early 20th century. A mixture of ages learn in one-room schools all the way up to eighth grade, and there is no high school in Amish communities. Instead, the children graduate from eighth grade and are done with school for good. From this moment, both the men and women start to focus on learning the trade they will embark on as part of the community. Differentiating from Christianity, Amish men and women are not baptized after they are born. Instead, their baptism takes place between the ages of 18 and 22, and they do so to show their dedication to living their lives according to God’s will; it is not as an effort to secure their way to heaven. However, regular church attendance is not performed in Amish communities, as the people in these communities prefer to gather and worship in small groups either at each others’ homes or other locations. While Amish communities do differ in many ways from secular ones, there are particular moments which happen no matter where you grow up. Teenagers, for example, tend to rebel or resist against authority, and Amish teenagers are no different. 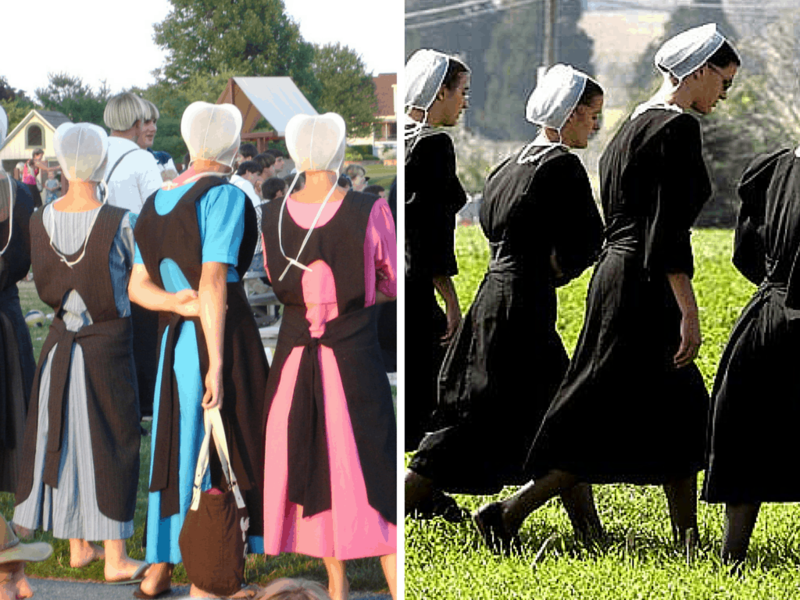 As a result, some Amish communities allow for “Rumspringa” where young people are allowed to leave the community for a short period of time. Compared to people of an older age, punishments for Amish teenagers who do not conduct themselves appropriately are more lenient. Just as men are expected to grow beards and shave their mustaches as part of the Amish culture, there are also specific requirements and expectations for women to follow. Amish women are supposed to dress in a plain and modest way at all times. This includes weddings, where many guests will wear modest colors such as blue, and the bride will not just leave her wedding gown in her closet, but continue to wear her dress every Sunday after she is married. Amish people often own a lot of land, as well as property. Similarly to other cultures, they later pass this property to the next generation. Meanwhile, it is not the oldest son who typically inherits the property, but rather, the youngest son. This is because the fathers are not ready to retire when their oldest sons are mature enough to own the property. Instead, they will learn trades while the youngest is groomed to take over the family properties which they will then pass on to the next generation. It is not often that violence takes place in Amish communities, but on the rare occasion, it certainly does. Back in 2011, a number of Amish men in Ohio were arrested for a crime considered to be vindictive and cruel in such communities. These men in question were led by Samuel Mullet to enter the homes of their rivals in the community and shaved their beards! While this act may not be a big deal in the rest of America, Mullet was eventually jailed for the crime. To many of us, these dolls may look relatively strange and creepy without a face; however, there is a good reason why Amish kids play with dolls that look like this in particular. 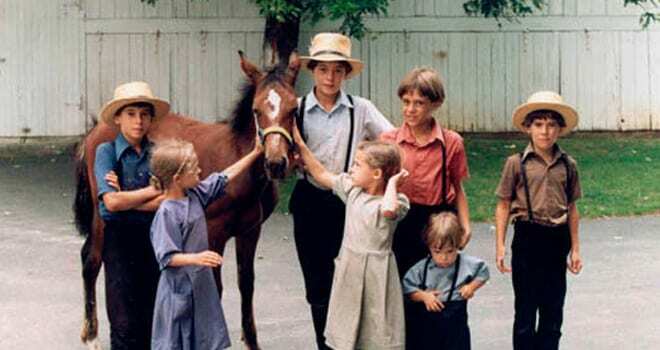 From a young age, Amish children are taught that it is what’s on the inside that counts in people, rather than the out. Meanwhile, these dolls maintain the same modest style of dress that all Amish people wear, and the dolls continue to represent the opposite of vanity. In past years, Amish people were always against taking photos since photos are representative of the technology that Amish people have banned. Meanwhile, they were also against the idea of being “captured” in an image that would last a lifetime. Over the years, however, many Amish people and communities have warmed more to the idea of having their picture taken when asked. Since they do not use cell phones or cameras themselves, photos are not considered to be significant in their world. Amish people have always been reluctant to use new technology, but some communities do occasionally accept certain forms of technology. 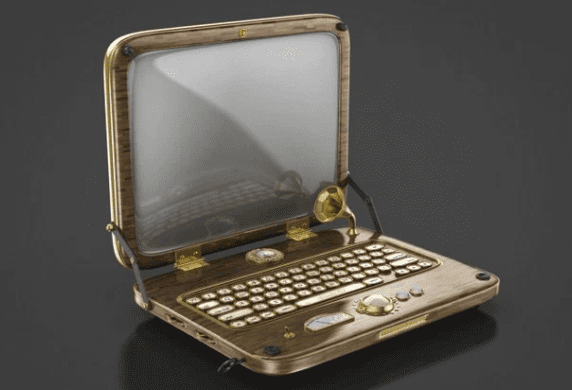 An example of this would be these no-frill computers which are used for accounting or word processing. The Deskmate shown in the photo is very basic and doesn’t play games, nor can you watch anything on it. Moreover, there is certainly no internet connection, and it is used for business purposes only, which is why some Amish people accept using it. 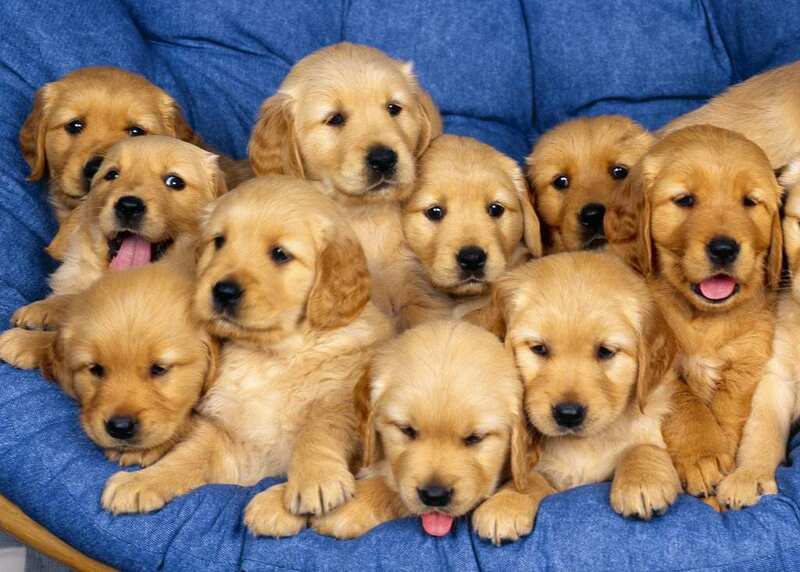 One way in which Amish people make money within their community is with puppy mills. The Amish have proven to be excellent dog breeders, but these facilities have proven to be very controversial. Many claim that there are thousands of unwanted pets in the rest of the country and dogs should be adopted from city pounds before these puppy mills. Moreover, overbreeding often leads to poor living conditions for dogs, and this is the case in Amish puppy mills since they spend long hours in cages. Although Amish people do not watch TV themselves, the rest of us have gotten some of our Amish knowledge from their feature on television. Over the years, Amish people have been represented on television shows such as The X-Files, 2 Broke Girls, and Orange is the New Black. One of the main characters of the Netflix hit was raised in an Amish community and speaks Pennsylvania Dutch. While this is a nod to the authenticity of Amish people, many have argued that television show has misrepresented the community. It is well-known that the Amish shun electricity but the reason as to why may be slightly unknown. Those living as Amish believe that electricity has not helped improve people’s quality of life but, rather, had a negative impact. Moreover, they thought that using public utilities mean that people will become more dependent on material things. Therefore, anything that can be done by hand instead of by a machine in Amish communities is done by using manual labor instead. Any electrical appliances used are subject to a lot of evaluation. It is assumed by many that Amish people don’t pay taxes, but this is not true. However, although they do pay taxes, Amish people do not believe in commercial insurance and they do not pay social security. This means that they also do not receive social security benefits when they retire. Instead, there is a system in place in Amish communities for taking care of elders, meaning no formal system is needed when they do eventually reach their retirement age. 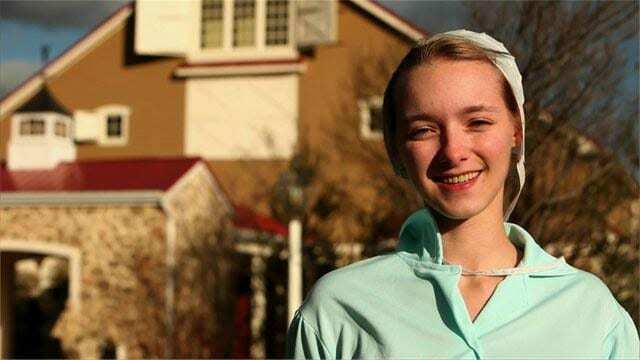 In a community where individuality is frowned upon, it leaves many wondering if there is any room for self-expression for individuals when growing up Amish. 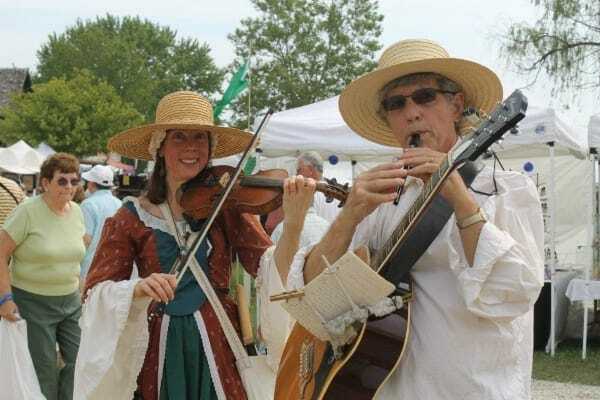 Many people do not play musical instruments within the community since Amish leaders are concerned that instruments would lead to heightened egos or a sort of idol worship as seen in pop culture. Even when it comes to church, church songs often lack musical notes and are mainly words to keep in line with their beliefs. It may not come as a surprise when you read that Amish people consider death in a different way from the rest of us. In Amish communities, death is not dwelled upon like it may be in other societies, and Amish people show little emotion. When it comes to the funeral process, and after embalming, relatives and community members come and view the body and pay their final respects. Once again, wedding dresses have a special emphasis upon death, with women wearing them for burial. While many of us cannot quite understand the customs followed in Amish communities, it makes more sense to those born and raised in Amish communities. 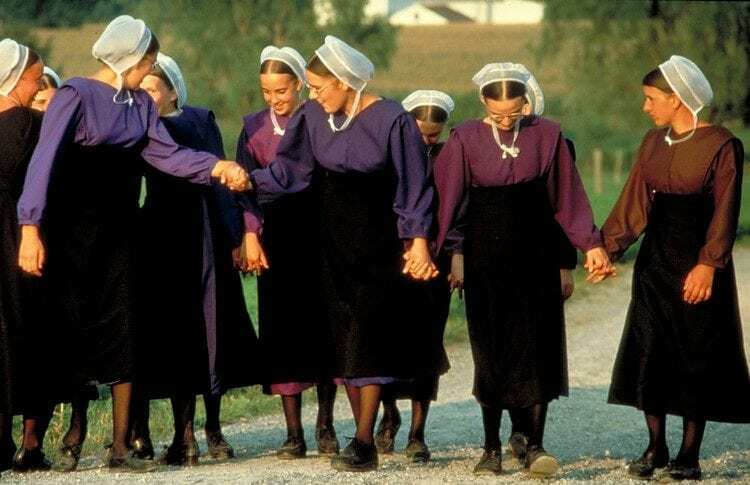 For example, Amish people are more restricted when it comes to their behavior than people in other communities, and gender roles are still very much separated within the Amish towns. For example, women avoid wearing jewelry and patterned clothing, and they do not take on roles such as preachers or leadership positions in their communities. 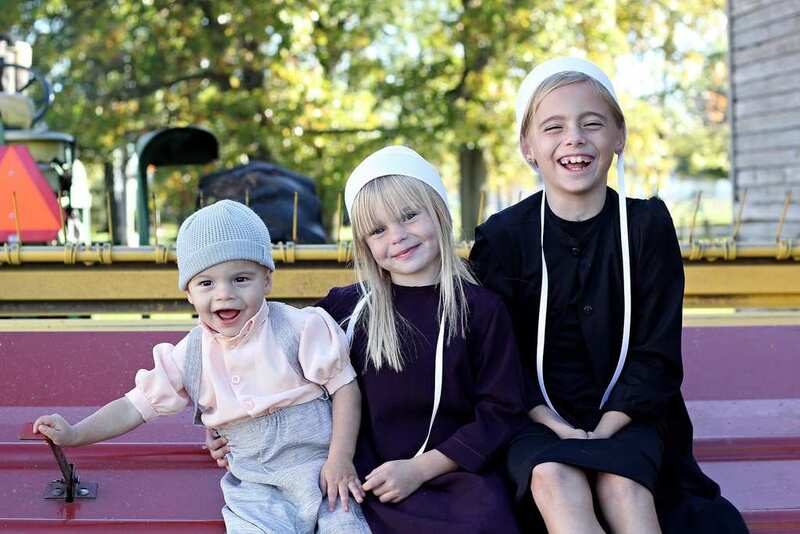 To be considered Amish, you do not have to be born within the community. Outsiders are welcome to join, but only after they go through a particular process. 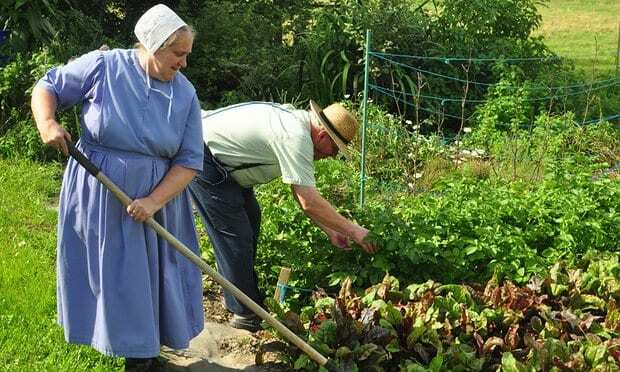 This includes learning to read, write, and speak their traditional language of Pennsylvania Dutch, and live with an Amish family to fully adopt the Amish way of life. They must do all of this before being voted into the community, as well as leave their world of technology and modern customs behind. It is only during their teenage years that an Amish person may stray from Amish customs with some leniency. 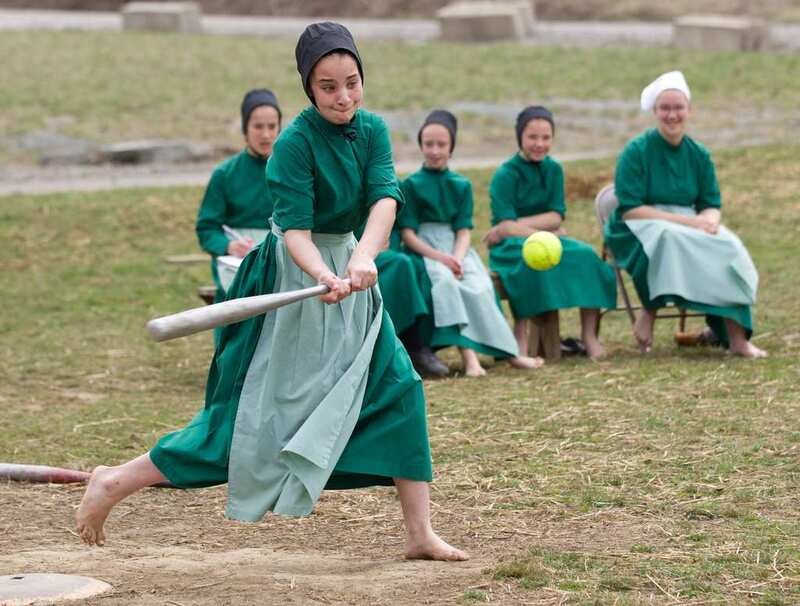 Should an Amish person wish to play in “The Devil’s Playground,” this would be the time to do so. 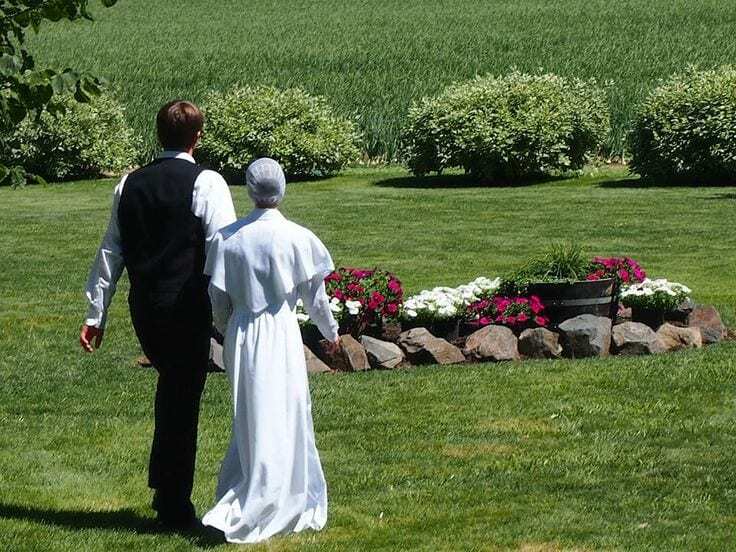 Some Amish teens even go as far as leaving their communities to explore the world, but 90% ask to be confirmed by the church and remain as permanent community members. Should they wish to participate in some fun, they can join in a number of activities, such as softball. As a community that abides by rules and regulations, it is no surprise that Amish men and women generally abide by state and federal laws. 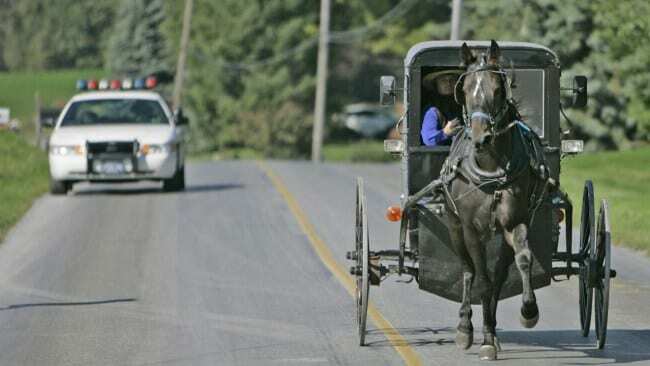 Nevertheless, there are occasions when Amish people stray away from outside laws for a number of reasons, many of which seem to be unreasonable. In Kentucky, for example, Amish people refused to have their horses wear “poop bags” to prevent them from excreting on the ground while they travel, because they argued that the rules prevent them from having freedom of religion. Many have assumed that Amish people and Mennonites are the same, but this is far from being true. Many Amish people actually dislike the idea that they are the same since there are very important differences in their religious beliefs. There are some similarities, however, and this includes wearing modest attire. They also both follow the Protestant tradition of being “baptized again” which is known as Anabaptism. Nevertheless, do not start calling Amish people Mennonites because they will not be impressed. 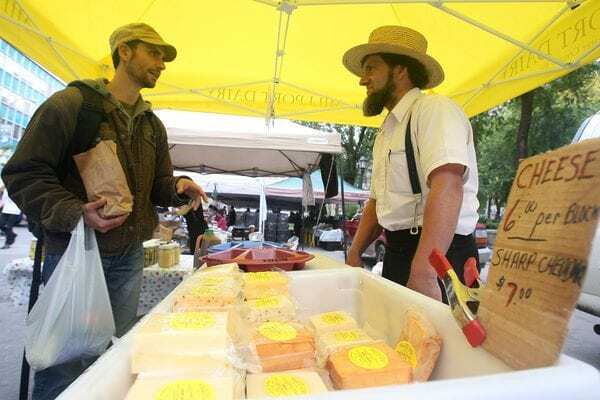 Organic food seems to be all the rage around America these days, and while the obsession is relatively new, Amish people have been eating organic foods since their communities first began. 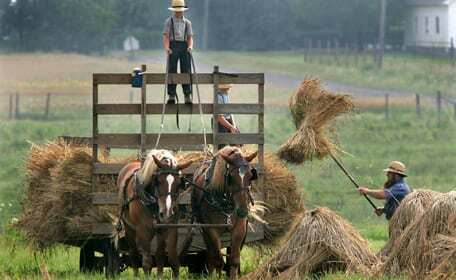 Amish people grow and produce their own food, which is why they are relatively healthy people. Another reason that they stay healthy is because they avoid tobacco and alcohol, not to mention their active lifestyles and no TV, and this has influenced towns nearby. The Indiana town of Shipshewana is completely alcohol-free. Another common belief is that Amish people are not users of modern medicine. Once again, however, this claim is false. Amish people do not have individual insurance policies, but they will see a doctor for major medical conditions. Should this be the case, members of the community will come together to pay for medical treatments if another member is to fall ill. However, since they maintain a healthy lifestyle in comparison to outside communities, this is not a serious matter within Amish towns. Another controversial idea that surrounds the Amish communities is that they have fewer people with autism than other communities. In fact, anti-vaccination advocates claim that there is a link with Amish people avoiding vaccinations and lower autism rates. 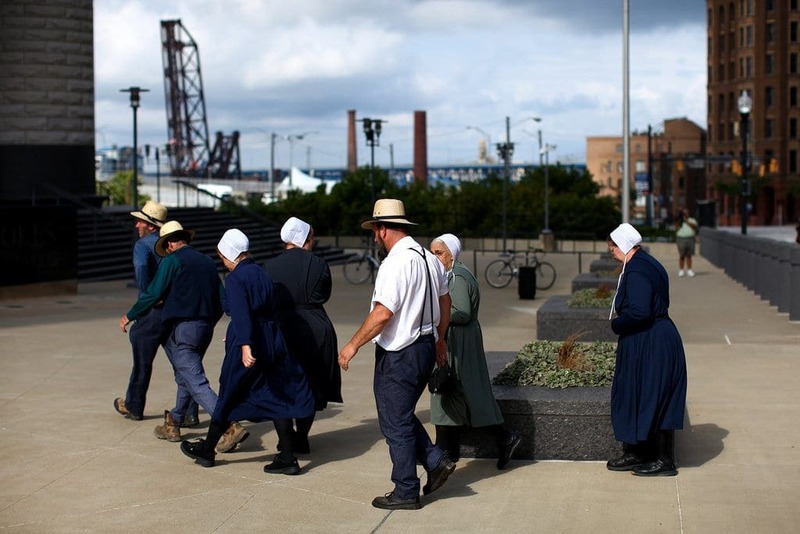 Meanwhile, many Amish people do get vaccinations as part of their medical care, and Amish communities that have avoided vaccinations have been found to have outbreaks of measles and other issues. This is an issue that continues to be spoken about today. In any Amish community, family is a very important part of their lifestyle. 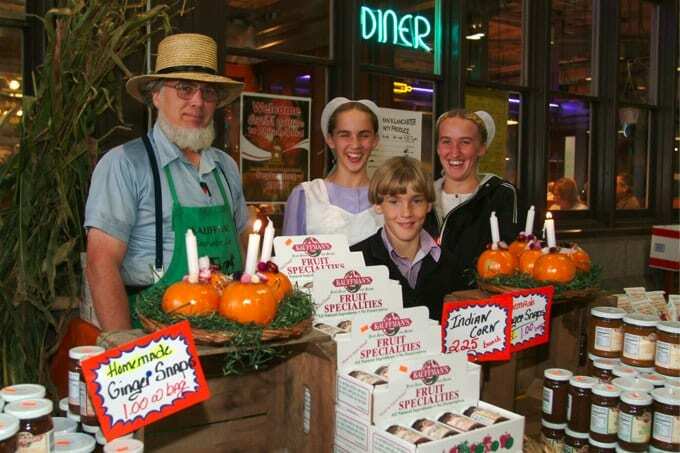 Families follow the principles that are guided by the traditional lifestyle of the Amish community, and each family sort of has their own Amish community. If you think about it, communities are often just a collection of families that will set out the rules and regulations that everyone abides by. Some communities will allow different colors of clothing, or more modern attire such as baseball caps, whereas others would certainly not. Although in many societies sleeping with another person is considered to be an intimate act, this is not necessarily the case in Amish traditions. 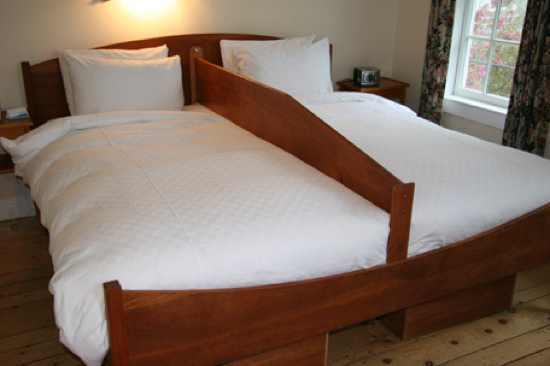 Many times, a bundling bed is used for two people to share the same bed, without any potential for actual contact between the two. Each individual using the bed will have their own blanket, and a board separates the pair. The reason for a bundling bed is to save space and allow people to share beds without the act of marriage.